One of our favorite food partner on Lake Como is the inn La Costa, which cooperates with Slow Lake Como for many gastronomic events linked to the local cuisine. This tavern has an interesting history going back to the 17th century when it was a typical Lombard farmhouse. Then at the beginning of 1900, it became an inn and was visited by farmers who wanted to drink some wine and enjoy themselves after the hard work on the field. After them, it was the time for day laborers to come to La Costa. In the ’60s the inn was transformed into a pizza restaurant and now it is not only a pizzeria but also a restaurant and it has a more modern look, however, it has a link to the past thanks to the investment done to restore the furniture. Nowadays, La Costa offers a cuisine based on the seasonal proposal, maintaining a close link with the territory. Its pride is the production of local salamis, fresh homemade pasta, all the ingredients are carefully researched and selected. 70% of the products are produced and grown by the inn, as it tries to be more independent from suppliers. Pizzas are made with the best ingredients and respecting the tradition by cooking them in a wood oven. 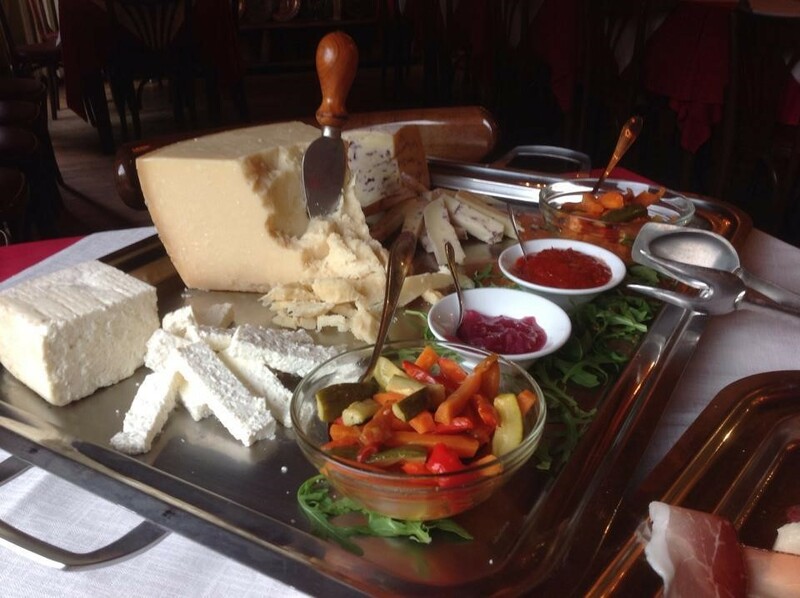 Some of the local dishes include meat, risotto, local cheese, gnocchi, lasagne, pizzoccheri, hand-made cakes, and regional wine. Moreover, there is the possibility to organize banquets, refreshments, business lunches, private parties and wine tasting evenings to satisfy every customer request. In fact, Slow Lake Como often organizes gastronomic events at La Costa. One example is the event about the local dish Paradell, which was eaten by farmers as it uses simple ingredients such as flour, eggs, water or milk, and sugar/salt. Today we use to cook it using sugar but in the past, it was a salty dish and for this reason during the event participants have the opportunity to cook it traditionally using salt. Here is the recipe: mix white flour in milk or water with a pinch of salt, adding a whole egg until everything is well blended. Then put a pan on the fire with seed oil and pour the whole mixture into it, adding as desired, a good fresh or dried American grape. When browned on one side, the Paradell is turned upside down for complete cooking. Then it is cut into slices. 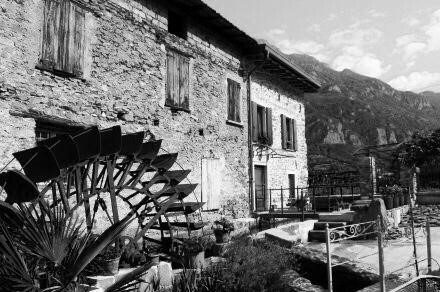 The environment where the restaurant-inn La Costa is located and where the events are held is in the Mills Valley (Valle dei Mulini): it is where many mills once worked and where the authenticity and traditions are still kept alive. The inn is an example of how to maintain local flavors and be modern at the same time: a place where different generations can meet, ideal for locals to rediscover the past and for tourists to discover the food of Lake Como in a different light.